Our Coventry Opticians is the first Lindberg stockist in town! 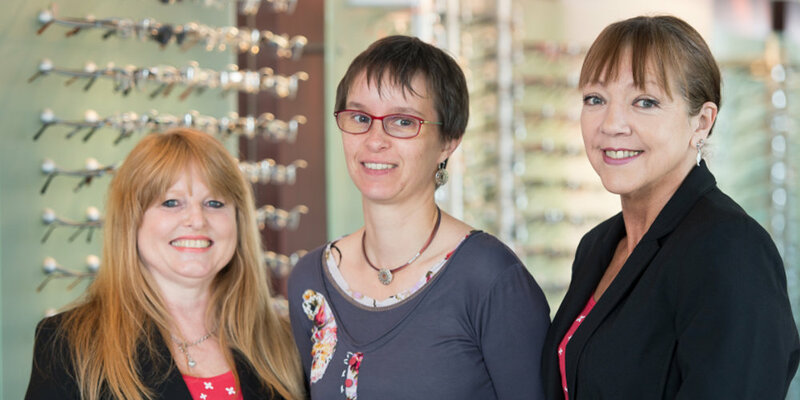 Located just off the Binley road, our Coventry Opticians practice was previously the location of Stoke Opticians, but was taken over by our team in May 2013. We have been providing quality eye care to the residents of Coventry since then and look forward to continuing to do so for many years to come. Elaine and Julie are the friendly faces that you’ll see in Reception when you come into the practice. They support optometrists Flo Hackett and Waqqas Ahmed who can provide you with a top quality eye examination and answer any questions you might have about your vision or eye health. You’ll also be able to benefit from our Fundus camera technology, which will take photographs of the inside of your eye. These photos are invaluable in helping your optometrist determine the overall health of your eyes, as well as monitoring any small changes over time. “Well I must say from the first time I walked in to the showroom with a view to purchasing some specs, I was looked after by a very caring, polite friendly young lady who helped me select my perfect frames. I have since been back and the service was even better, as this time they not only resolved an issue I had, they did it with a smile. Should you need new glasses following your eye appointment, you’ll be able to choose from a fantastic range of brands and designs, including the prestigious Lindberg. We are proud to be the first Lindberg stockist in Coventry – an exceptionally high-class brand with a reputation for comfort, style and quality. When you visit us for your eye appointment, you’ll be able to park for free on the street next to the practice. Alternatively, both the 13 & 86 buses travel along the Binley Road and stop less than 100 yards away from us, at Gosford Green.